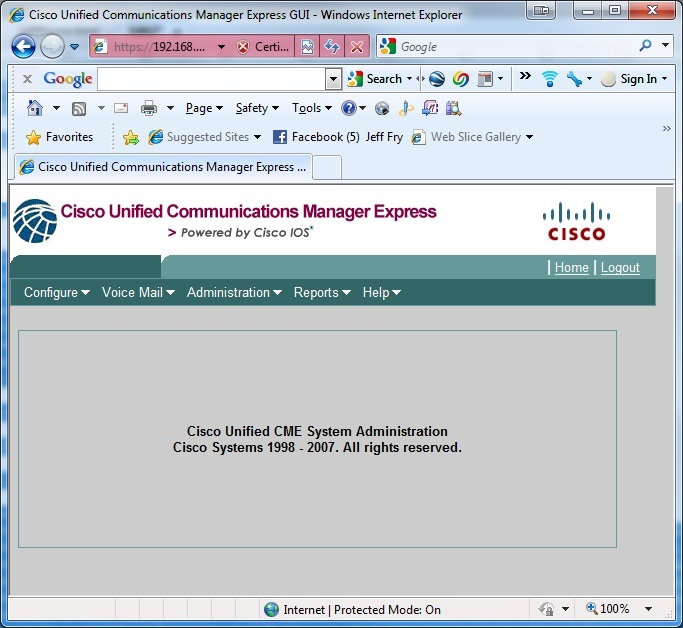 This is just a quick post on how to setup CallManager Express for home using a Cisco 2800 series router. A few normal Analog phones around the house. Below is an image that depicts the cards and their connections. Below is an image that represents a portion of my home network (yes, there is more like Wireless and other switches), but this will do for this posting. I have a router connected to the PSTN (Public Switch Telephone Network), a Cisco ASA connected to the internet, an POTS (Plain Old Telephone Service) Analog phone hanging off the router, and assorted Cisco 7960G phones around the house with computers connected. There are also two phones in the house with an Intercom function as well – this is used so we do not have to shout about between the floors when you need someone. It is also good for listening in on the kids when they are either A) too quiet; or B) being loud and rambunctious. Here we define a hostname for the router. This is purely arbitrary. You need to specify your local timezone, this is where the time and date on the phones come from. I did try UTC and such, but found you needed to put the router in the local time zone for it to all work. Here we configure our interface that is on the network. I am using a 192.168.0.9/24 for the router, have sparse-mode configured for the music-on-hold as well as an internal IPv6 network address. This is the IP address of my firewall, I have both a default and a static route configured. This was done in case the router crashed and I needed generate a crashdump a file. This is actually the route to the installed Service Module engine. I do have a Unity module installed, but I have not had the time to configure it. Since we are running CallManager and such, we should enable HTTP services. This is also how you share a global directory on the phones. 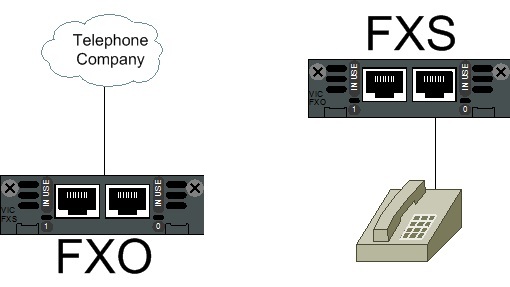 Now we can configured the FXO card to forward inbound calls into the network. the PLAR (Private-Line Automatic Ringdown) command with OPX (off-premise extenstion) is necessary in order to forward the call with your home telephone number to CallManager. When using this for home, the telephone company does not send any digits to the house (ie no DID), so you need to inject them into the call. There is nothing connected to this port right now, so no config. But I could easily add another analog phone (fax?) if I chose to. Now we are getting into the meat-and potatoes of the CallManager express – Dial-peers! This is a similair dial-peer, but instead will look for a 11-digit number, starting with 1, then 2-9, then 9-digit wildcard. This dial-peer is looking for 1009 to be dialed and then will forward it out on port 0/3/0 to an analog phone. Now to setup the Services button to host information. Here I am using free information from Berbee.com (James?) Also included is an image of the menu that you receive with these services. This is where we specify the images for the phones. I have loads for a 7920, 7940-7960, as well as the 7970 color phone. This is the dialplan pattern for my house, I am using the last-4 to identify extension. Really do not think I am using this part of the config anymore though. This is my hold-music and the associated multi-cast information. I am using port 2000 here as well as it is used for the normal RTP media between ip phones and the router. This is to block certain dial-patterns. Here I block 1-900, 1010, and 011 calls 7 days a week 24 hours a day. This is my phone directory. If you use the directory listing on the phone, these are the listings that are available. This is one of the Intercom lines (Extension 1998). This is what we use between floors as an intercom. Now here we start to configure the phones. We have a local meaningful description, the associated MAC address, Speed-Dials buttons as well as associated buttons for calls. This phone, ehpone 6, was an old wireless Cisco phone that we had. 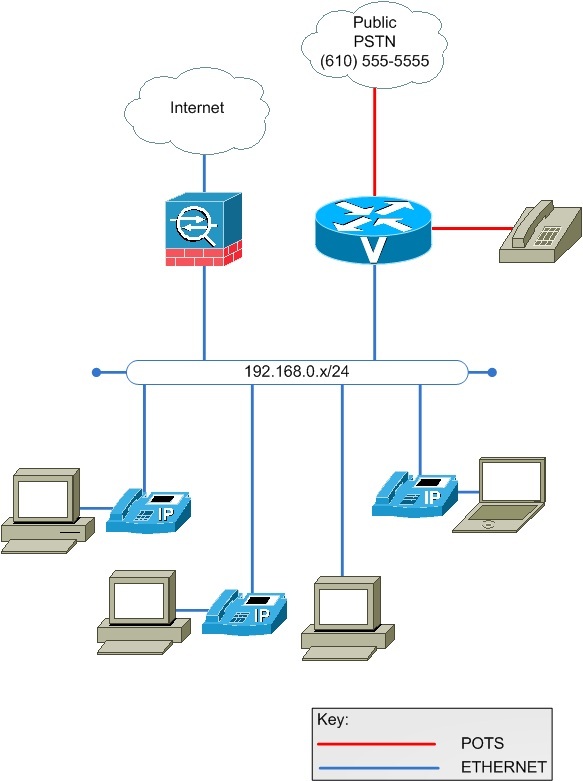 The battery went bad – but you can use the Cisco wireless with this setup as well. The remaining part here is my NTP configuration. 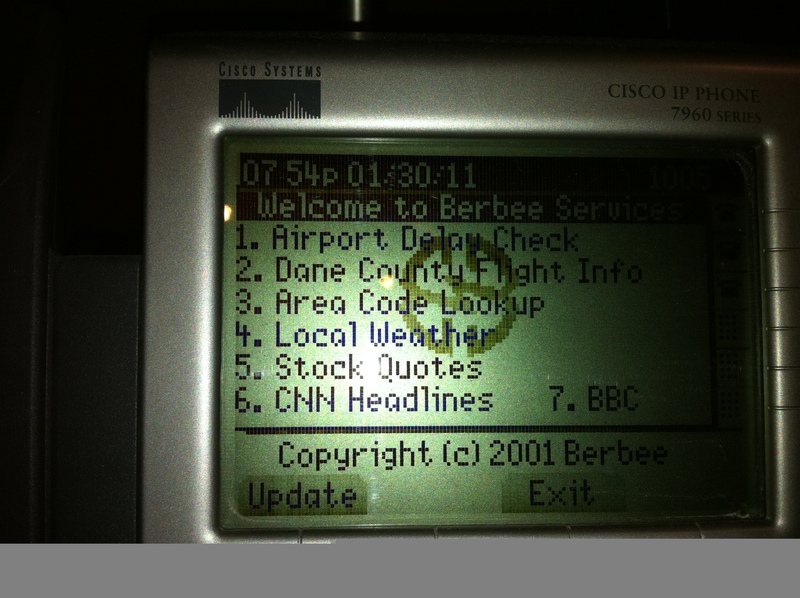 A good NTP setup will keep the phone date/time correct. Now more on the gw-accounting syslog command. It is a great to monitor call-history and such in the router log file, or to an external syslog. I can see who has called me or who we have called. This is also a good way to record call history for FCC purposes if ever needed. The two numbers in this log are 6105555555 and 4845551212. Now, if you want to see what calls have occurred over the past 5 or so minutes, you can also use the show call history voice brief command. The output in this command shows the extenstion that answered (1005), the incoming call (6105555) and the number that called (4845551212). Now, there is also a GUI to the CallManager express – on my router the URL is https://192.168.0.9/Telephony_service.html . From what I can tell, you can do quite a bit from here as well. To be honest though, I do not think that I have every really used this feature.